This set of 8 original solos for contests, recitals, juries and auditions features music in a variety of popular styles -- jazz, rock, funk, bebop, Latin, rudimental. 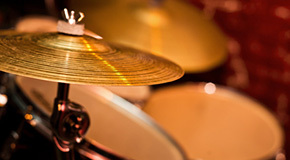 Within our large selection of over 7,500 sheet music titles for drums / drum sets, percussion and mallet percussions, there is something to suit everyone. Here you will find modern instrumental method books for every age group, études, technique method books, transcriptions, playalongs, musical pieces with and without accompaniment or several instruments, as well as sheet music for music classes.